December 4, 2017 — Links International Journal of Socialist Renewal reposted from ANF English — How did the US end up supporting the Kurds in Rojava? Since October 2014 the Syrian Kurds and their non-Kurdish Allies have discussed military cooperation with the US-led Global Coalition against the “Islamic State” (IS). 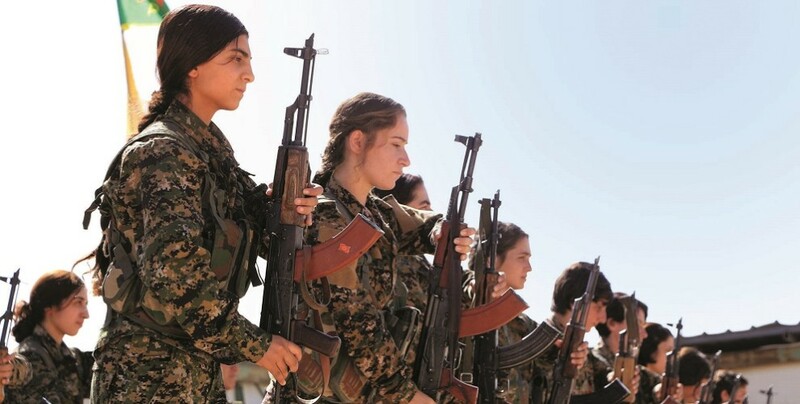 Towards the end of 2014, the mainly Kurdish People’s/Women’s Defense Units (YPG/YPJ) defended Kobanî, nowadays the Syrian Democratic Forces (SDF), which includes ten thousand non-Kurds in its ranks, have liberated Raqqa, the de facto IS capital and the eastern parts of the Deir Ez-Zor province. Many leftist and progressive organizations and movements around the world have discussed and were divided about this military cooperation due to the historically contradictory ideological positions of the two forces. 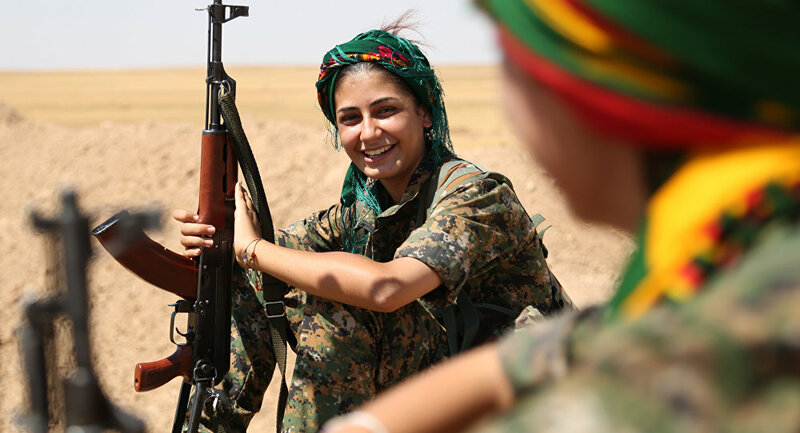 On the one hand there are those including some within the Kurdish solidarity organisations, who voiced concerns that the revolution of Rojava could lose its emancipative-liberating value and independent stance. On the other hand, critics think that the SDF is already instrumentalized by the US and has betrayed the revolution. November 19, 2017 — Links International Journal of Socialist Renewal — Abdullah Ocalan has been held in a Turkish prison on Imrali Island since 1998. For most of that time he has been kept in solitary confinement. Access to lawyers and family members has been limited and sometimes cut off altogether for long periods. At the time of writing, access to Ocalan is completely blocked, with no contact whatsoever since September 2016. Ocalan is considered the leader of the PKK (Kurdistan Workers Party). 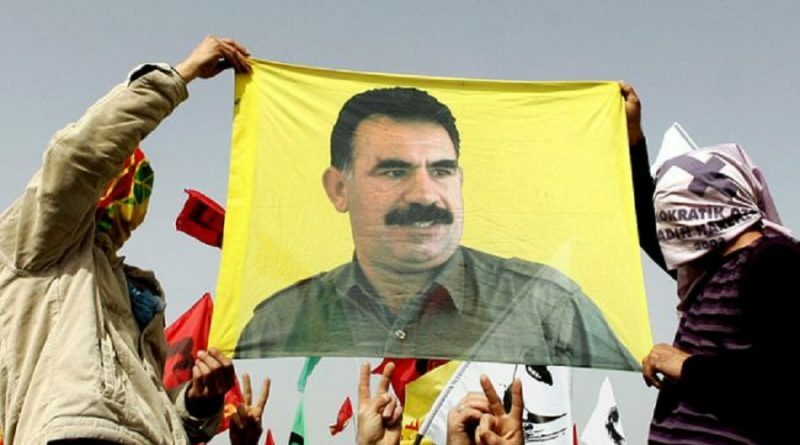 His isolation means that he cannot participate in the party's day-to-day decision making, but his ideas are taken as the basis for the political strategy of the PKK in Turkey and similar groups in Syria, Iraq and Iran. Despite the difficult conditions of prison life, Ocalan has written extensively while in prison. This book's four chapters are articles by Ocalan written at different times. The first chapter, “War and Peace in Kurdistan”, begins with a brief history of the Kurdish people from prehistoric times to the present day. February 2, 2017 — Links International Journal of Socialist Renewal reposted from Kurdish Question — Zahra Shexo bends over her sewing machine and meticulously, but expertly allows the course material to run through her fingers and under the pointed needle of the machine. The sound of over a dozen women’s laughter and conversation intermixes with the repetitive mechanical sounds of the sewing machines in the large room. The sewing room is a Kaleidoscope of different coloured materials, samples, threads and other necessary sewing items. Zahra is the current administrator of the textile cooperative Amargi in Kobane city.